You are currently browsing kitrinka’s articles. 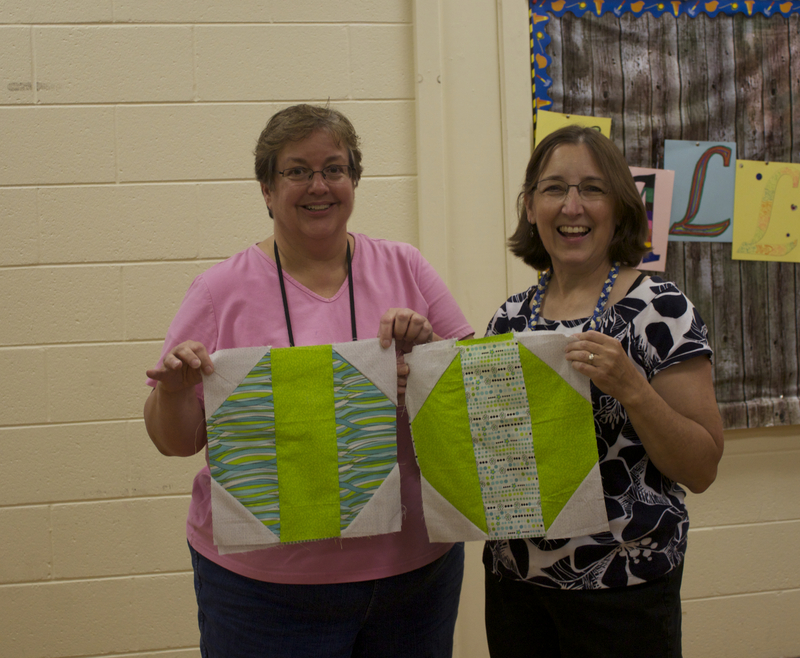 Kathy Wickham is the first to bring Betty Tyree blocks for new comfort quilt pattern! We will be playing around, making fabric beads. Bring fabric scraps, enough to share would be fun. 2″ x 6″, 1″ x 5″, 1/4″x 4″. We will have some wire, beads, lace and other trimmings. Feel free to bring some, too! We’ll have dowels. See you at Sue B’s at 7, Monday evening, April 27, 2015! Our thanks go to Chris Epperley for her years of work on the Library! Chris notes that she is having to discard some books as outdated now, that she ordered when she started! 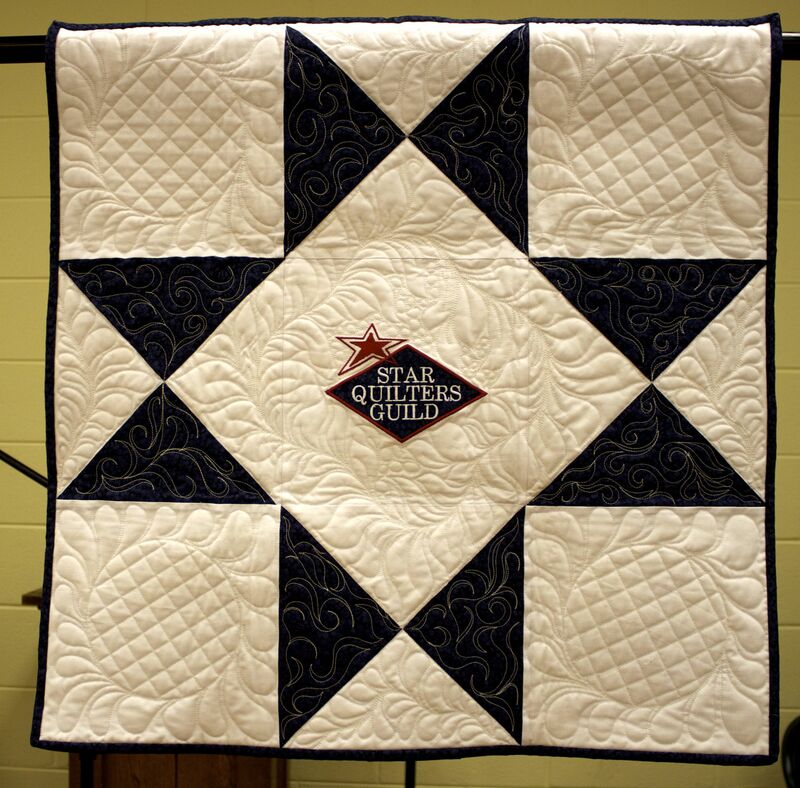 Sue Bainter, who is a member of both the Star Quilters’ Guild and the Old Church Gallery Quilters’ Guild, won 2nd place in the long-arm category of the Old Church Gallery Quilters’ Guild’s annual show. The show was held October 5 and 6, 2013, in Floyd, Virginia. 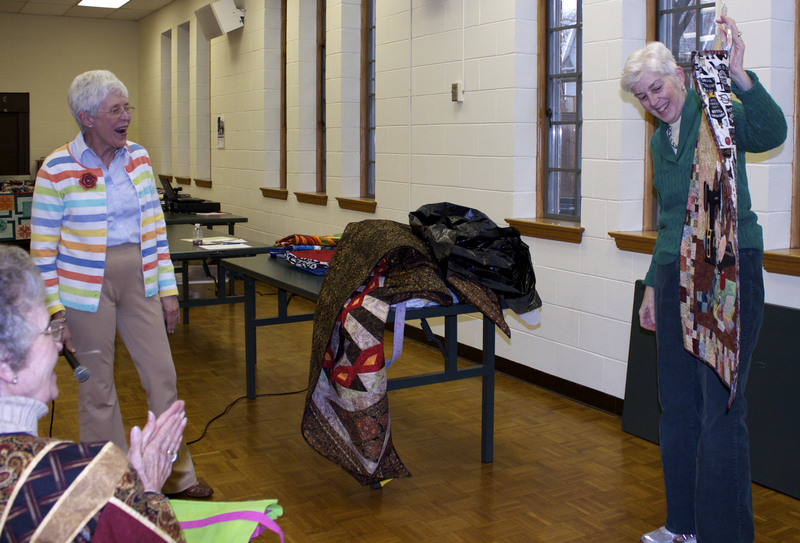 Sue began her quilt in a workshop with Lucille Amos, a certified Judy Neimeyer instructor. 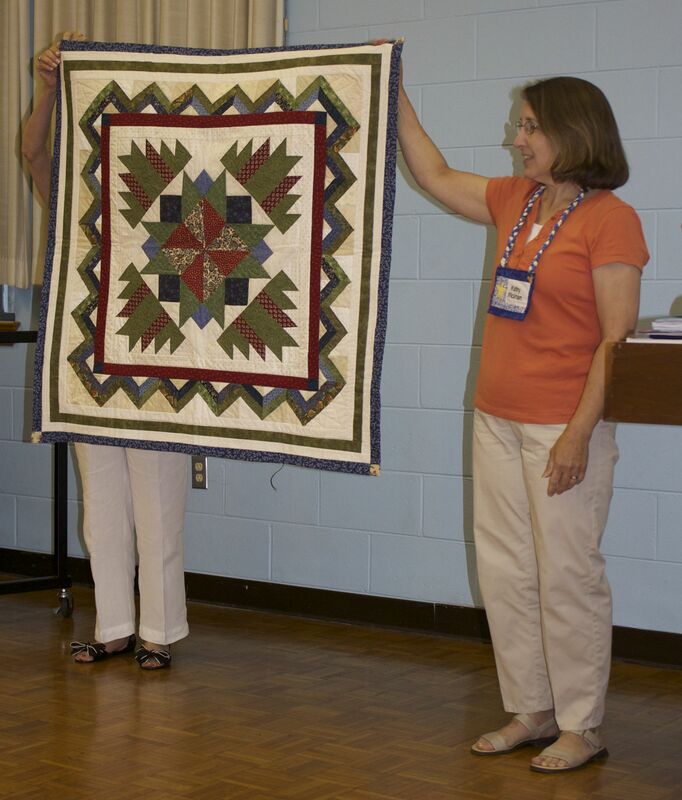 The quilt was beautifully quilted by Linda Whisman.